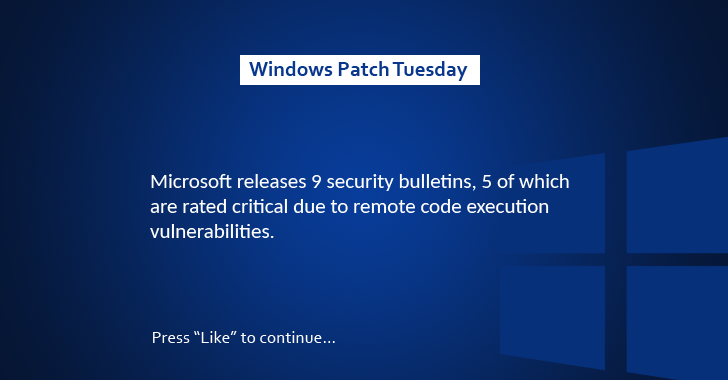 Microsoft’s August Patch Tuesday offers nine security bulletins with five rated critical, resolving 34 security vulnerabilities in Internet Explorer (IE), Edge, and Office, as well as some serious high-profile security issues with Windows. Another critical update includes Microsoft Office Patch MS16-099 that addresses four memory corruption bugs in Office that can be exploited by booby-trapped documents remotely to execute malicious code on a victim’s system, taking full control of the victim machines. The company has also issued Cumulative Updates (KB3176493, KB3176495, KB3176492) for Windows 10 users, so those who have upgraded their systems to the Microsoft’s new operating system should install the updates as soon as possible. First-Ever Ransomware For Smart Thermostat is Here — It’s Hot!